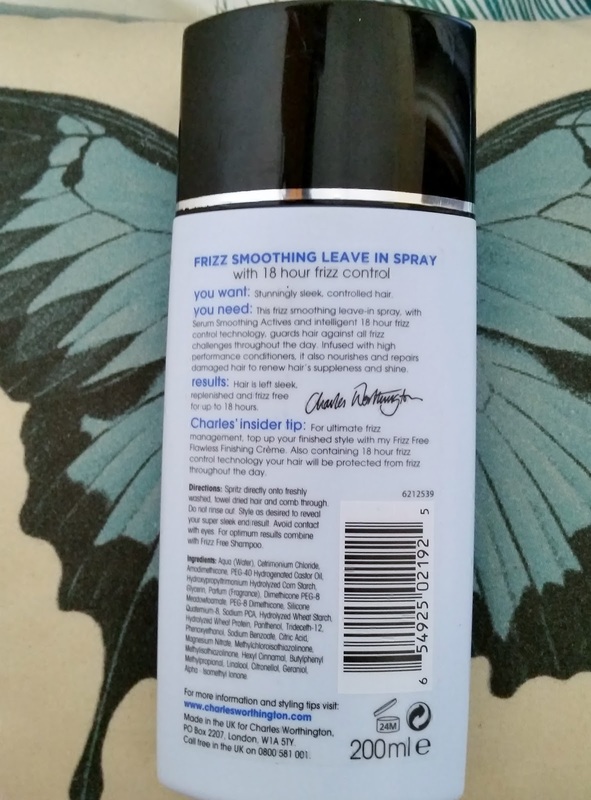 Home / HairCare / Charles Worthington - Frizz Free Smoothing Leave-In Spray - Wanting Swishy Hair ? 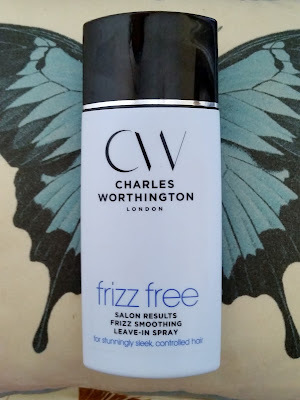 Charles Worthington - Frizz Free Smoothing Leave-In Spray - Wanting Swishy Hair ? Always on the look out for a leave in treatment to put some goodness back into my hair. 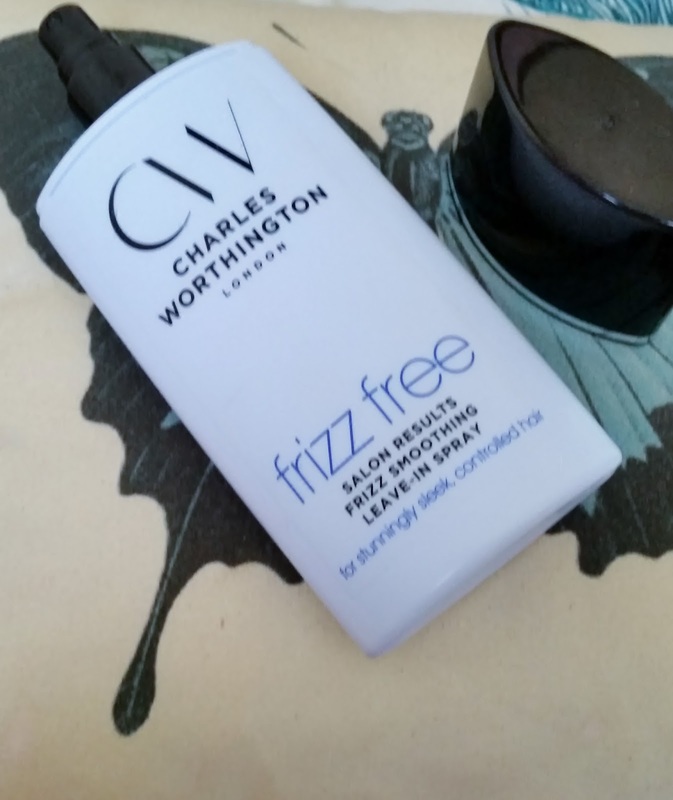 I came across the Charles Worthington frizz free smoothing leave-in spray. This was actually in a 99p store! yes 99p! so i thought what have i got to lose if this product doesn't suit me. With the weather being hot as we have just finished a heat wave here in the UK, yes we do get hot weather! My hair was left dry and lifeless and just not happy! The bottle is 200ml which is great value from only costing just 99p. Leave in spray. For stunningly sleek, controlled hair. Frizz smoothing leave-in spray with 18 hour frizz control. You Want: stunningly sleek, controlled hair. all frizz challenges throughout the day. Infused with high performance conditioners, it also nourishes and repairs damaged hair to renew hair's suppleness and shine. Directions: Spray directly onto freshly washed, towel dried hair and comb through. Do not rinse out. Style as usual. Results: I sprayed this all over my hair and combed through . The combing was made easier by this spray and there was no snags or knots. You can feel the product on your hair but doesn't make your hair feel sticky or weighed down. I styled as usual and this cut down drying time and i also found was quicker to style my hair. It left my hair really shiny and made it look like i had a gloss treatment on my hair. All from this product! When it started to rain i wanted to test this product to see if my hair would keep its style, when it rains my hair goes curly!! This product kept my hair just as it was styled and there was no frizz at all! Even the next morning there was no frizz on my hair and no bed head, out of control look! I'm really glad i picked this up and would happily pay the full price for this. After colouring this is great to put back some moisture and replenish the hair to its former glory. If your looking for a product that does what it states and your wanting to put some TLC back into your hair then i highly recommend this! Charles Worthington - frizz free leave-in spray.